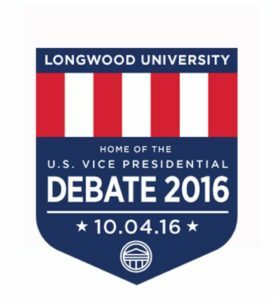 37 million people watched the sole vice-presidential debate, less than half of the number of viewers of the first presidential debate. Senator Tim Kaine repeatedly brought out a series of complaints against Donald Trump, from both a policy perspective and a personal perspective, and challenged Trump's running mate to defend Trump's actions. This fulfills the traditional "attack dog" role of vice-presidential nominees. Governor Mike Pence did not often take the bait: instead, he pivoted to discussing campaign issues of relevance to the Trump-Pence campaign. Some commentators opined that Trump would be angry about Pence not defending him; others suggested that Trump took Hillary's bait far too often in their first debate, and that Trump would benefit from following Pence's example is sticking to the issues rather than playing defense. Several pundits observed that Kaine appeared to be running very hard for vice-presidency in 2016, while Pence seemed more focused on running for president in 2020 (i.e. Pence made himself look strongly presidential for the future, but Kaine did more good for the current campaign). Bill Weld: Supported abortion rights; moderate stance on social issues. Mike Pence: We embrace life because we're better for it. Mike Pence: Partial-birth abortion is just anathema to me. Tim Kaine: Not role of public servants to implement religious beliefs. Mike Pence: We've almost doubled the national debt; but not Indiana. Mike Pence: Change of leadership will lead to America's comeback. Tim Kaine: Invest in infrastructure & invest in our workforce. Tim Kaine: We tried Trump tax plan in 2000s: it caused Great Recession. Mike Pence: Law enforcement is not a force for racism or division. Mike Pence: Bringing up "implicit bias" demeans police officers. Mike Pence: Inner-city families should want stop-and-frisk. Mike Pence: Police officer are the best of us; restore law & order. Tim Kaine: I opposed death penalty but upheld the law. Tim Kaine: Racial biases do exist in the criminal justice system. Tim Kaine: Community policing makes community safer AND police safer. Tim Scott: I have felt the humiliation from being targeted by police. Ajamu Baraka: International coordinator of Black Left Unity Network. Bill Weld: No alliances for intelligence: We have to do it ourselves! Donald Trump: FactCheck: Japan should defend itself, including with nukes. Mike Pence: America's place in the world is weakened. Mike Pence: Fight Russia with strength and allies. Mike Pence: Trump for extreme vetting of immigrants and no Syrians. Tim Kaine: Create a humanitarian zone in northern Syria, with UN aid. Tim Kaine: On Putin: See difference between leadership & dictatorship. Tim Kaine: The "reset with Russia" failed because Putin is a dictator. Tim Kaine: I'm a gun owner but I'm scarred from scourge of gun violence. Mike Pence: Bar Syrian refugees so ISIS cannot infiltrate America. Mike Pence: Rebuild military and project American strength in the world. Tim Kaine: Clinton has an actual plan to beat terrorism; Trump doesn't. Tim Kaine: Reagan warned about fools & maniacs with nuclear weapons. Tim Kaine: Terrorism threat is down due to killing Osama and Iran deal. Mike Pence: Focus on border security and removing criminal aliens. Mike Pence: End sanctuary cities; those policies drive wages down. Tim Kaine: No "deportation force" going door-to-door to deport 16M. Tim Kaine: Barring Syrian refugees is antithetical to democracy. Mike Pence: Indiana's unemployment rate was cut in half since 2013. Tim Kaine: Trump is "You're fired"; Hillary is "You're hired". Bill Weld: Trump's agenda is hurtful to America & the world. Hillary Clinton: Led Methodist youth group as child. Mike Pence: Serve based on a lifetime of experience from small towns. Mike Pence: Clinton Foundation is platform for Clintons' world travel. Tim Kaine: Faith in personal life, but First Amendment for nation. Tim Kaine: Clinton Foundation helps millions as Trump lines his pockets. Tim Kaine: Run partisan, but after election, work with everyone. Tim Kaine: Hillary apologized for "deplorables"; Trump never does. Donald Trump: FactCheck: Yes, "privatization would be good for all of us". Mike Pence: We're going to meet our obligations to our seniors. Mike Pence: We will keep promises to seniors. Tim Kaine: Never, ever risk Social Security with privatization. Donald Trump: OpEd: Can't release tax returns while under audit? Nixon did. Mike Pence: Lower taxes across the board, and we'll get growth. Mike Pence: Cyber-warfare is new tool of US enemies. Tim Kaine: Initiate "intelligence surge" for cyber-security with allies. Mike Pence: Back at war in Iraq because we didn't leave enough forces. Mike Pence: Protect civilians in Aleppo by enforcing Safe Zones. Mike Pence: Iran deal delivered $400M as ransom to terrorist sponsor. Mike Pence: Peace with North Korea through US strength. Tim Kaine: We now have fewer troops abroad &reduced Iranian threat. Tim Kaine: Senate and UN agreed on sanctions against North Korea. Tim Kaine: Iran deal stopped nuclear program without firing a shot. The above quotations are from Vice-Presidential Debate, Oct. 4, 2016, moderated by Elaine Quijano of CBS News.